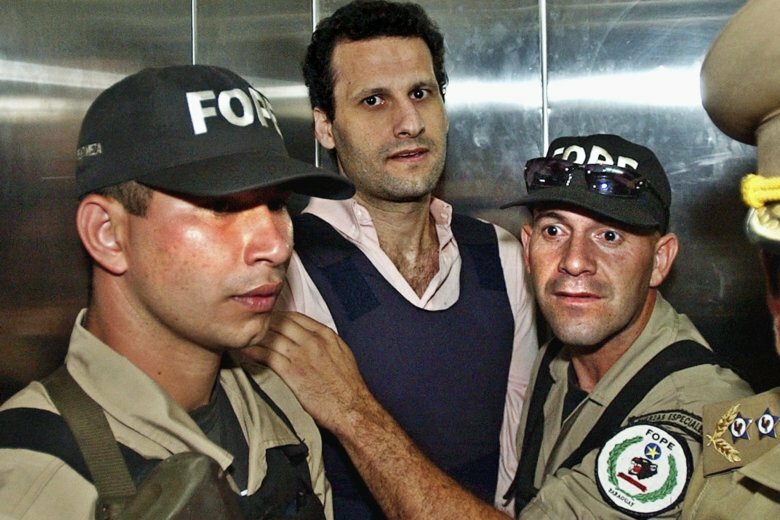 SAO PAULO (AP) — Brazilian police arrested a fugitive Friday who is alleged by U.S. authorities to be Hezbollah’s financier and who has repeatedly been accused of illegal activity in a lawless border area where three South American nations meet. Police took Assad Ahmad Barakat into custody in the city of Foz do Iguacu, which is home to the famous Iguazu Falls and sits where Brazil, Argentina and Paraguay converge. The Tri-Border Area, as it is known, has long been a haven for smugglers, traffickers and counterfeiters, and U.S. authorities and others have alleged it is also a redoubt for terrorism support and financing. Authorities in Paraguay are seeking Barakat on allegations of false representation, police said, and Brazil’s Supreme Court authorized his arrest earlier this month. The Brazilian federal prosecutor’s office said in a statement that Barakat’s case met the requirements for an arrest with a view to extradition. It was not clear when or if that would happen. Attempts to reach Barakat’s lawyer were unsuccessful. In 2004, the U.S. Treasury Department said Barakat was one of the most influential members of Lebanon’s Hezbollah militant group, which the U.S. considers a terrorist organization. It accused him of using his businesses in the Tri-Border Area as a front for fundraising for Hezbollah as well as coercing local shopkeepers into giving money to the organization. A Treasury official at the time said Barakat had used “every financial crime in the book” to fund Hezbollah and “underwrite terror,” and the department ordered his assets frozen in the United States. Barakat was then serving a prison sentence for tax evasion in Paraguay. Two years later, U.S. authorities added several of Barakat’s associates to the list of people whose U.S. assets can be frozen and whom Americans and U.S. companies are prohibited from dealing with. Barakat remains on that list. In a 2001 interview with The Associated Press, Barakat acknowledged that he was a “sympathizer” of Hezbollah but said that did not mean he supported terrorism. Emanuele Ottolenghi, a senior fellow at the Foundation for Defense of Democracies, said the arrest was a signal that Argentina, Brazil and Paraguay may be more willing to crack down on crime in the Tri-Border Area. He noted Barakat had been operating “out in the open” for years there despite the U.S. sanctions. Ottolenghi said the shift might have come about because the new government in Paraguay is trying to shed its reputation as a haven for corruption and financial crime in order to attract international investment, while Brazil is starting to see the activities of Barakat and his associates as a form of organized crime. He said Barakat remains deeply connected to Hezbollah, including through family members. The Simon Wiesenthal Center, which researches and advocates against anti-Semitism, hate and terrorism, praised the arrest. Beyond the longstanding accusations of his involvement with terrorism, Barakat has faced other legal troubles over the years and was even extradited from Brazil to Paraguay once before, according to police. They said he returned to Brazil in 2008 after serving his sentence. In Paraguay, Barakat is currently accused of presenting a declaration of incorrect nationality and omitting information about the loss of nationality, Brazilian prosecutors said Friday. Barakat was born in Lebanon but has lived in South America for years. Prosecutors said they had information that Barakat applied for refugee status in Brazil when he learned of Paraguay’s arrest warrant, but that only the recognition of refugee status would prevent his extradition, which was not the case here. Argentine authorities have accused associates of Barakat of laundering $10 million in a scheme in casinos, and they have frozen the group’s assets, according to Brazilian police.